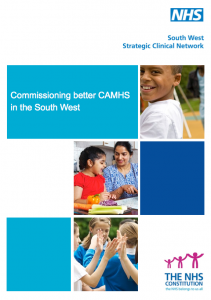 This report published by the South West Strategic Clinical Network for Mental Health has been developed to support commissioners in leading and shaping the transformation of child and adolescent mental health service (CAMHS) in the South West. Around 10% of children aged between five and 16 have a mental health condition. Too often though these children, young people, their families and carers, find that the services they need are not available to them at the right time or place, are fragmented, or are well meaning but poorly organised. This guide was written by young people, clinicians, service providers and commissioners. They describe what a good service looks like, pulling together innovative service models from across the region, which have been found to improve outcomes for children, young people and their families. 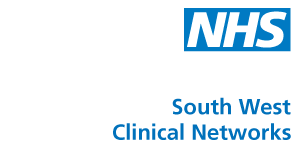 The aim is to maximise treatment options within community settings, which play to the geography of the region and also make economic sense by avoiding hospital care where appropriate and possible. In addition, this guide describes the services which already exist in the region across a range of agencies. Excellent services will only be delivered by good multidisciplinary and multi agency working and extensive stakeholder engagement. I sense a renewed commitment to delivering this over the next months and years.